we pay top cash for your scrap metal! 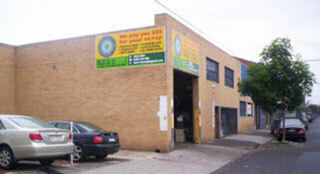 Inner City Metal Recycler is Melbourne's leading scrap metal recycling company based in Abbotsford, in central Melbourne. Inner City Metal Recycler specialise in buying and recycling copper and brass, steel and stainless steel, aluminium cans, auto batteries, whitegoods and all things metal. Whether you are a tradesperson, metal manufacturer, or simply collect scrap metals to supplement your income, you will find Inner City Metal Recycler paying top dollar with the most friendly and efficient service. STEEL DROP OFF IS FREE. WE PAY TOP $$$$$$ ALL NON-FERROUS SCRAP!!!!! Why Inner City Metal Recycler? free scrap metal pick up (over half tone). auto batteries & whitegoods recycling. Open 6 days Monday to Saturday. Click here for contact information and location map.